A robust, 3-season, alpine family tent that sleeps six. The Alpine Hut III + III is an extra-large, 3-season, double wall geodesic tent that sleeps six (or more at a pinch). The Alpine Hut III + III has a large central common area for cooking or gear storage and dual entrances improve interior comfort. In addition, the side wall opens up completely. 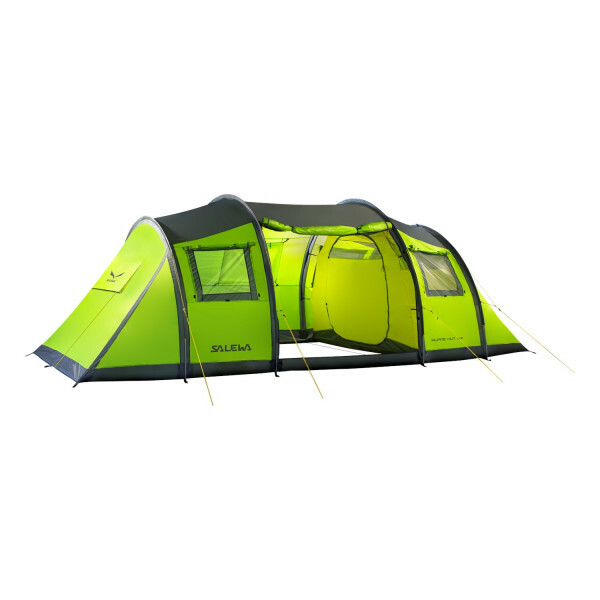 Further features include: lightweight and solid, rapid set-up 7001 T6 aluminium poles; high-quality zippers and guy lines; snow flaps and big inner tent pockets.